Do you target other businesses? 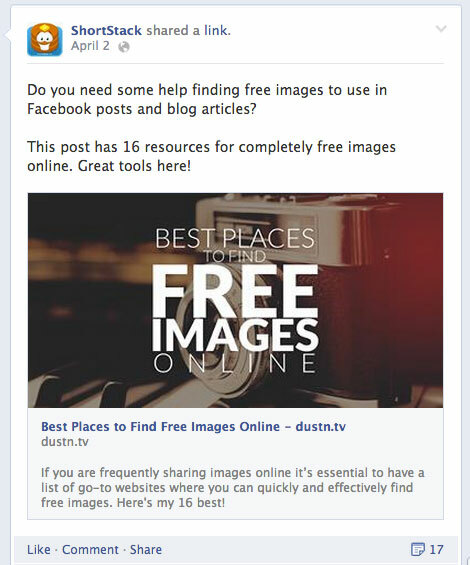 Are you struggling to generate more Facebook engagement? Facebook marketing can work well for B2B companies, but you may have to rethink how you use your Facebook page. In this article you’ll discover four tips that can help you make Facebook work for your B2B company or client. It’s important to recognize that your audience on Facebook may not be the same as your audience on LinkedIn. Knowing your audience—what resonates with them and what their expectations are—is always your first step to success. When you know what your audience wants, you can give it to them (without guessing). So how do you find out who your Facebook audience is? Use the tools available to you and look at the data. 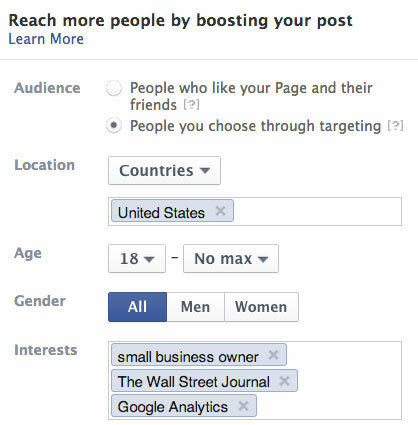 Check Facebook Insights, Google Analytics and even your own database to get a clear picture of your audience. Facebook Insights tracks how your audience engages with your page. You can trace their preferences, see how your audience demographic compares to Facebook as a whole or track which user segments you’re reaching and engaging with most often. Facebook Insights offers a range of audience data. If you’re using Google Analytics, I recommend upgrading to Universal Analytics so you can use the affinity categories data. This data tells you what interests your audience interacts with most and you can respond accordingly by providing relevant content, launching targeted ads, etc. Inside Google Analytics click on Admin to upgrade to Universal Analytics. The best data of all, though, is the data you already have. Your customer database can tell you a lot about your customers in terms of what they buy, the services they use and more (all depending on your business and how up to date your database is, of course). Once you’ve got your audience data together, create personas that reflect your ideal audience members. What kind of problems do they need to solve? What content is most interesting to them in an informal atmosphere? What content can you provide to help them grow relationships? Developing these personas really helps you focus as you define the Facebook audience you want to engage. Your tone, the type of content you share and even the way you target advertising will be different on Facebook. It’s a balancing act to provide content that’s both business-related and interesting enough for your audience to engage with. The key is to avoid the hard sell on your page. Don’t try to convert fans into leads or sales immediately. Instead, create and curate a healthy mix of content that takes your users on a journey with your brand over time. The New York Times‘ study The Psychology of Sharing found that people share content they perceive as valuable. That value could be marketing for a cause, providing entertainment or nurturing relationships. ShortStack posts links to other resources their customers will find useful. Anything that helps your audience define themselves for their own audience (whether that’s friends, family or colleagues) is appealing. In other words, your B2B audience is probably trying to promote themselves as experts and will share content that helps them achieve that goal. When you understand how your B2B audience reacts to content on Facebook, you can start creating content they want to share—the kind of content that lets them reinforce their own interests and expertise. An important tactic for increasing the performance of your B2B Facebook page is to think about when you’re publishing content. It may seem obvious, but many pages miss this opportunity. Facebook Insights shows you when your fans are online. It makes sense to post updates when your fans are most likely to be on Facebook, right? Posting when your fans are most likely to see it boosts engagement. Timing isn’t everything, though. If your content isn’t great, no one will engage with it, no matter when you post it. Be sure to look at the big picture when planning your content and timing. Use Insights to track post time, type (e.g., text, link or image) and engagement. When you’re just getting started, look at what’s worked for you in the past month. Going forward, export your Insights data to an Excel spreadsheet and track topic and engagement trends over several months to fine-tune your content. In my experience, B2B pages tend to get the best engagement rates from 12:30pm-2:00pm and 4:00pm-6:00pm—the times when people are either on lunch break at work or are starting to wind down at the end of the day. Those times aren’t a hard-and-fast rule, but they give you an idea of where to start. Your data and time will likely vary based on your company, content and audience. Whether you’re trying to increase page likes, send traffic to your website or boost your reach, the goal of any advertising campaign is to attract the right people while maximizing your ROI. Facebook makes that easy with their ad targeting options. You can target broad categories, general business interests, competitor audiences, CRM through custom audiences and more. Target your Facebook Ads to reach specific groups. For example, if you want to find B2B fans and leads, you could run an ad targeted at small business owners (broad) who read the Wall Street Journal (general business interests) and are currently fans of a competitor’s page (custom audiences). You can refine that audience even more by targeting anyone who works for a specific company or graduated with a certain type of degree. Your options are endless. Take advantage of Facebook’s targeting and make your advertising work for you. With a little research and some planning, B2B brands can find an audience on Facebook. Of course, before you can find your audience, you have to know your audience. Use the data you have at your disposal—Facebook Insights, Google Analytics or your database—to determine what content topics resonate with your audience, when they’re most likely to see that content and how to target your ads. Be smart and subtle with your content. Create and curate content that not only appeals to your audience, but also reinforces their roles as thought leaders. They’ll be more likely to share it. What do you think? Have you had experience with B2B marketing on Facebook? What tips can you share with others? Leave us a comment below. Ben Harper is one of the co-founders of Datify a data driven marketing company based in the UK. Datify specialises in insight led strategies focussed on driving ROI for a range of clients across the social & search arenas.